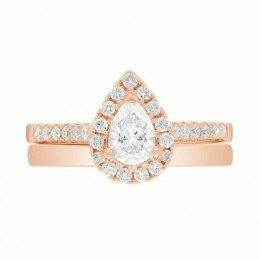 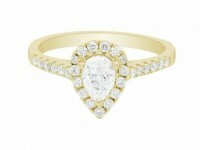 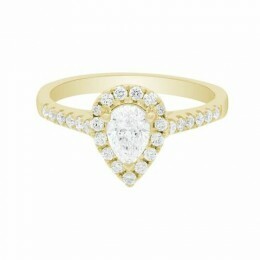 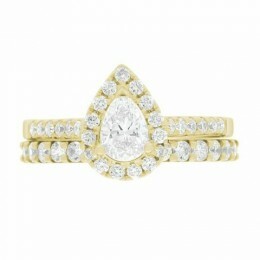 “Harriot (Pear)” is a beautiful pear cut diamond engagement ring. 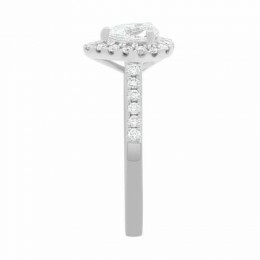 The diamond is majestically mounted in a antique style halo bezel of 18 round brilliant cut glistening scallop set diamonds. 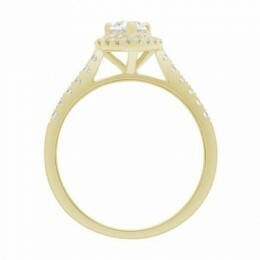 This beautiful ring also has half eternity scallop set diamonds on the shoulders/band. 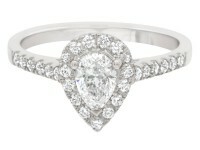 The ring pictured has a .50ct F VS2 pear cut diamond certified by IGI. 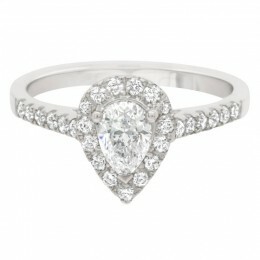 The combined carat weight is .80ct.